The Object of the Society is to provide a common meeting ground for the study and discussion of, and research into, history in general, and of the local area in particular. The Society is affiliated to the Berkshire Local History Association. and is a member of the British Association for Local History. If you no longer wish to receive emails from the Wargrave Local History Society, with information such as this, please email secretary@wargravehistory.org.uk to be removed from the circulation list. Your contact information etc is held securely, used only for administering Wargrave Local History Society membership, or for sending information concerning local history. It will not be given to any other person or organisation without the explicit permission of the person to whom it relates. Read about and order our books here. In 2009, we acquired three albums of photographs which feature (inter alia) scenes of Wargrave from the 1870s belonging to Harriette Cooke Smith - see some images here. 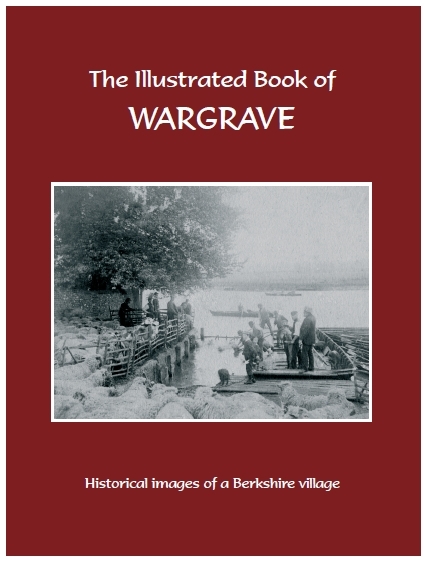 We are always interested in adding to our collection of pictures, documents, books, maps etc relating to Wargrave, so if you have anything that you think may be of interest, please contact us. This meeting took place at The Leander Club, which was formed in 1818. Brian recounted the main events of its 200 years history, and following that, Society members were given a tour of the Club. < FONT color="#000000"> An evening with Thomas Plant. < FONT color="#000000">This year we will visit the Gilbert White House (Gilbert White's 18th century book on the Natural History of Selborne is a classic) and gardens, and the adjacent Oates Museum (about the Victorian explorer Frank, and Lawrence's expedition to the south pole), followed by afternoon tea, of course. < FONT color="#000000">The NHS was founded just over 70 years ago, and village doctor Mark will explore an aspect of its history for us. < FONT color="#000000">Although now-a-days only the Thames-side gardens remain, the origins of Caversham Court date back to the 12th century. We will hear something of the history of the site, and also of the families who lived there. < FONT color="#000000">Diana, who has long been involved with the Sonning and Sonning Eye Society, will tell us of the story of our neighbouring parish by considering the history of 10 specific buildings. December 10 Chrismas Party Christmas Party. January 14 Aldon Ferguson The Role of Women at Danesfield and Phyllis Court in Photographic Interpretation in WWII. Danesfield was the centre of interpretation for all Allied aerial photography in Europe in WWII, and Aldon will share his research into some of the vital work that they carried out with us. Local historian Catherine is making a return visit, and this time she will give us an insight into the recipes used in the Georgian era.